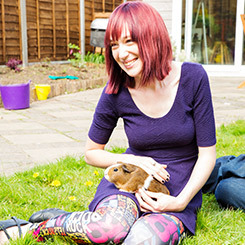 Check out my handy Crochet Conversion Charts here! Each crochet conversion chart will give you a quick and easy guide to translating instructions in patterns. 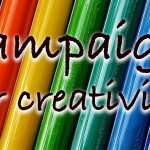 As well as choosing the right yarn and crochet hooks for your project. These simple charts will help you to work out the right crochet hook sizes, yarn weight and terminology. Making understanding crochet patterns easy. Crochet hook sizes are almost always stated at the beginning of a pattern. But depending upon who wrote the pattern, they will be given in differing terms. In general USA crochet patterns will give you hook sizes using a letter and number scheme, but UK patterns will give you a size in mms. 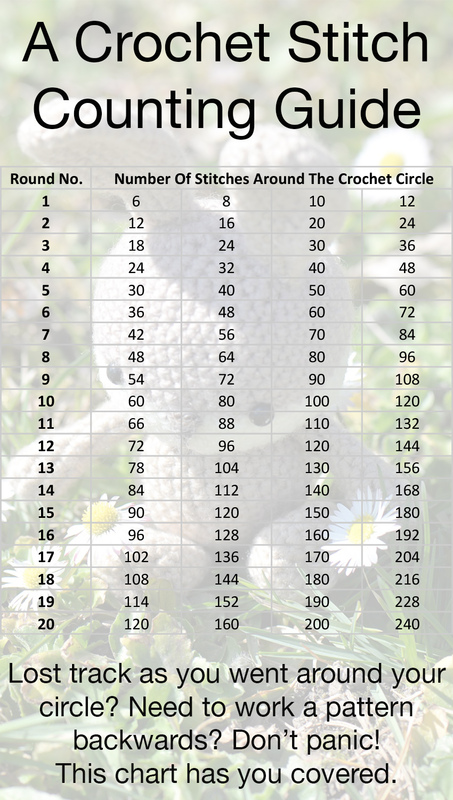 The crochet conversion chart below will allow you to quickly work out which crochet hook size you need, even when using a different pattern. It’s not just hook sizing that differs between the UK and USA. Terminology for stitches is varied too. And just to make matters even more confusing, just because your hook is given in one sizing doesn’t mean that the stitching is too. For example, I live in the UK and only have access to UK branded hooks, so I give my hook measurements in mms. However, I learned to crochet using American Youtube tutorials and patterns, so my stitches are in USA names! Fortunately, there is a nice trick to quick spotting which terminology a crocheter is using in their patterns. If you see reference to a ‘single crochet’ or ‘sc’ in the pattern, then you can be confident that it’s American. 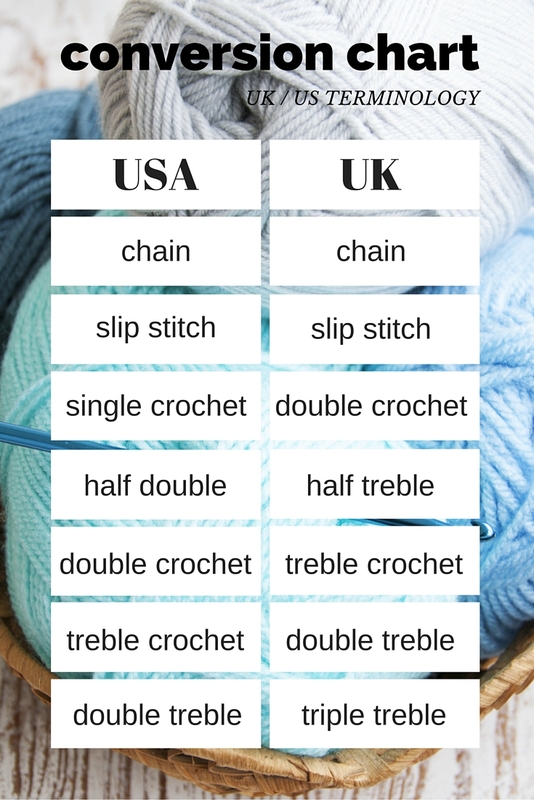 This is because although the same terms can mean different things in general, English patterns do not have a single crochet. This means that the writer must be using American terminology. 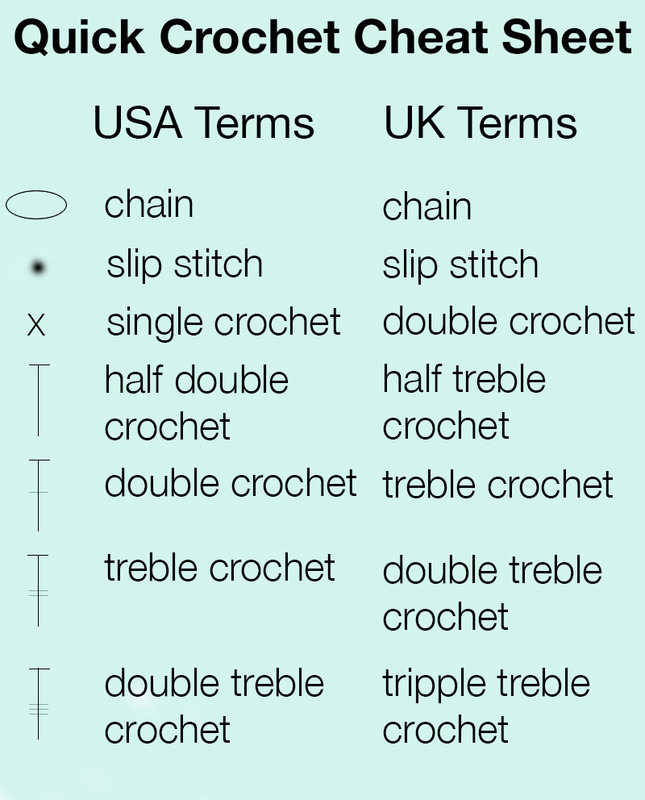 To translate your pattern easily from USA to UK or vice versa, simply use the handy crochet conversion chart for terminology below! 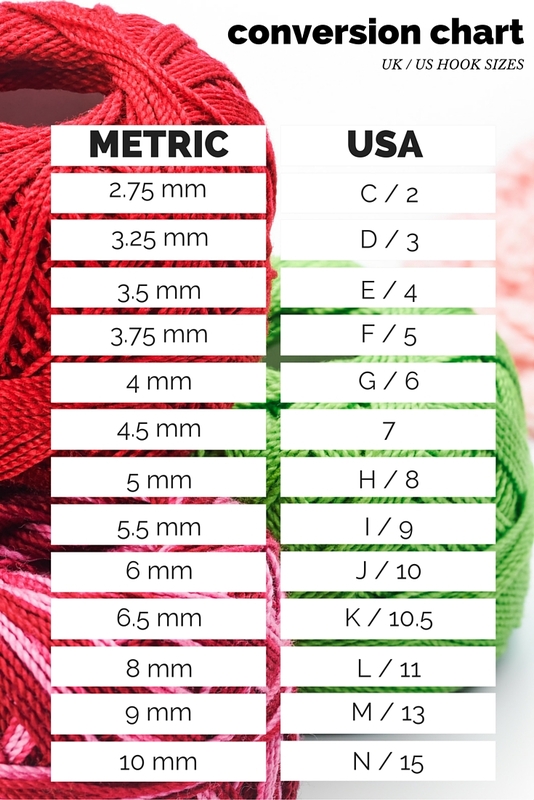 In this section I have made a yarn weight crochet conversion chart that will give you a rough guide to help you understand which yarn to use for your crochet patterns. Choosing your yarn weight can be confusing. Not only do you have to find the right shade and texture to suit the product you are going to create, but you need to choose the right weight of yarn as well. The yarn weight does not apply to the quantity of yarn you will need either, but instead to the thickness of the strands it’s made up of. So why a rough guide and not a firm and conclusive one? It’s all to do with the wording on your yarn packages. 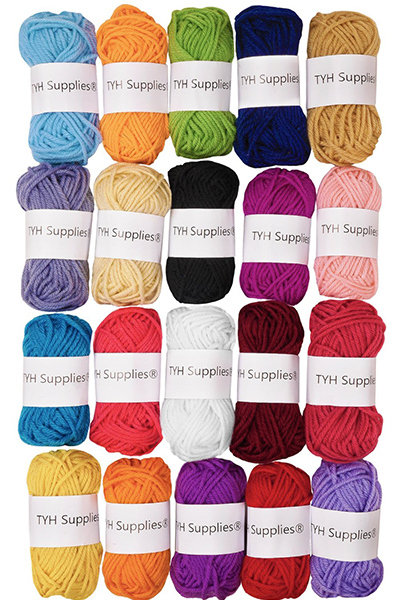 The yarn conversion chart guide is to help you pick the right yarn when the pattern gives an instruction in American or English terms, and you are used to using the other. I hope that the crochet conversion chart for yarn below will help you to work out which is the right yarn for your needs. But unfortunately, that’s not where it ends where yarn weight is concerned. 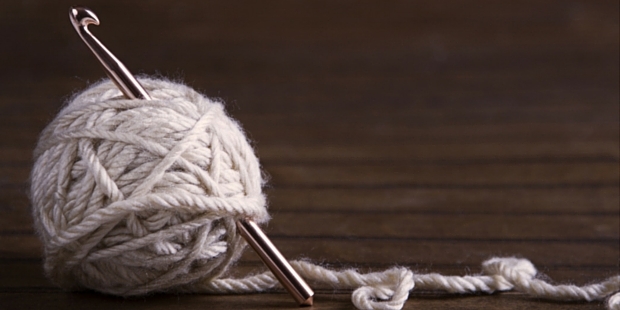 Because even within the same country, yarn manufacturers do not all use the same terminology. In fact some will use the same words to describe different types of yarn, which can be very confusing. Not only that, they will use words which don’t necessarily describe the product you are creating. For example, sport and baby labelled yarns aren’t necessarily for making sporting or baby appropriate crochets. Remember, the combinations are not limited to what is shown here. If upon picking up and inspecting a certain yarn you feel it would be better suited to a lower weight category then trust your instincts. Crochet is a craft where you can allow your judgement to steer you to a degree, even when following set patterns. The main thing to look out for is when making something to a specific size, like an item of clothing or a blanket to snugly fit a certain bed. If you pick a different weight of yarn then you may need to adjust the pattern as the gauge (tension) will be different. Which crochet hook sizes should I use? In the crochet conversion chart above I have given suggestions of crochet hook sizes to use for different yarn types. This is a good general outline of which one to pick up if you are creating your own pattern or using one that gives a yarn weight, but not a specific hook size. However, it’s worth mentioning that this is absolutely not set in stone. There is no reason that you can’t make a netting style crochet blanket using a light weighted yarn and a larger sized hook. In fact I enjoy experimenting with hook sizes and different yarns to give new textures and create varied patterns. Once you are confident in creating your own crochet projects, then try out different hooks with your favourite yarns and see what you can make. I recommend using single crochets and chains to make small sections of crochet when you practice. That way when you are done you can unravel the yarn and won’t have wasted any materials. Thank you very helpful information. Especially the yarn weights.